Known as “The Oldest Town of Texas”, this city has seen evidence of human settlement as far back as 10,000 years ago. It was a Native American settlement until around the 19th century, when Spain established a mission. 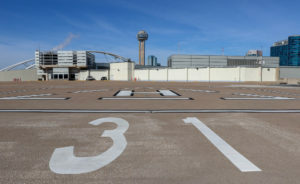 In 1772, Spanish officials ordered everyone to move to San Antonio, due to the high cost of maintenance. Eventually, settlers found their way back into Nacogdoches in 1779, and it was officially declared a “pueblo”, or town not too long after. It is known as the first town in Texas. With multiple national forests nearby, Nacogdoches and Deep East Texas are at the heart of the state’s timber industry. 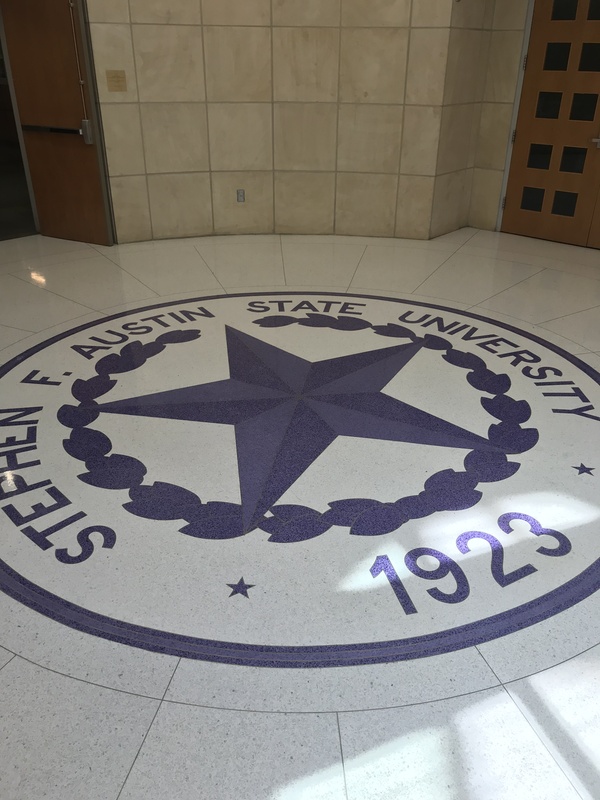 Upon arriving, the first place we checked out is also the place people most often associate with Nacogdoches: Stephen F. Austin State University. Founded in 1921, it is one of 4 state universities in Texas not associated with a university system. Starting my journey into the land of the Lumberjacks! The first place we stepped into was their student center while trying to find a bite to eat. 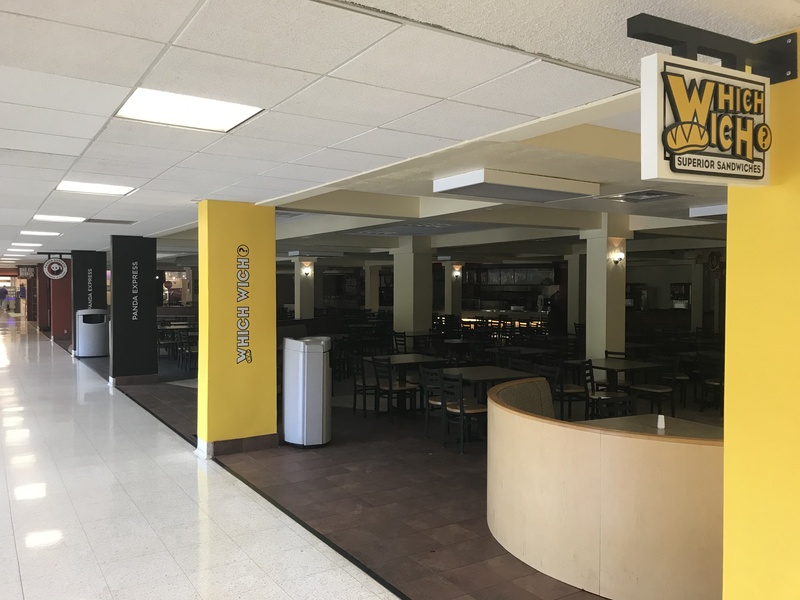 Although the food court was closed, it looked like a great place during the school year to catch a bite between classes, or even to meet up with friends to study! Walking thru the building, we strolled thru the front part of their student center. It looked quite modern and inviting for both prospective and current students alike. The front part of the student center. Seeing that there weren’t any real viable options for lunch, we decided to eat off campus. After coming back, we first went to the Old Stone Fort, located right across from the Student Center. The Old Stone Fort, built in 1936, is an exact replica of a house that served many roles in the history of Nacogdoches. The original house it was modeled after was built in 1788, and was located in present-day downtown until it got demolished in 1902. 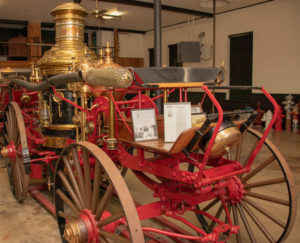 Since its opening, this replica structure has served as a museum displaying artifacts from the early days of Nacogdoches and Texas. The Old Stone Fort on the grounds of Stephen F. Austin State University. Built in 1936, this #free museum talking about the #history of Nacogdoches is worth seeing! Some pretty cool artifacts inside. Upon entering and signing the visitor register, we started our journey into East Texas history. 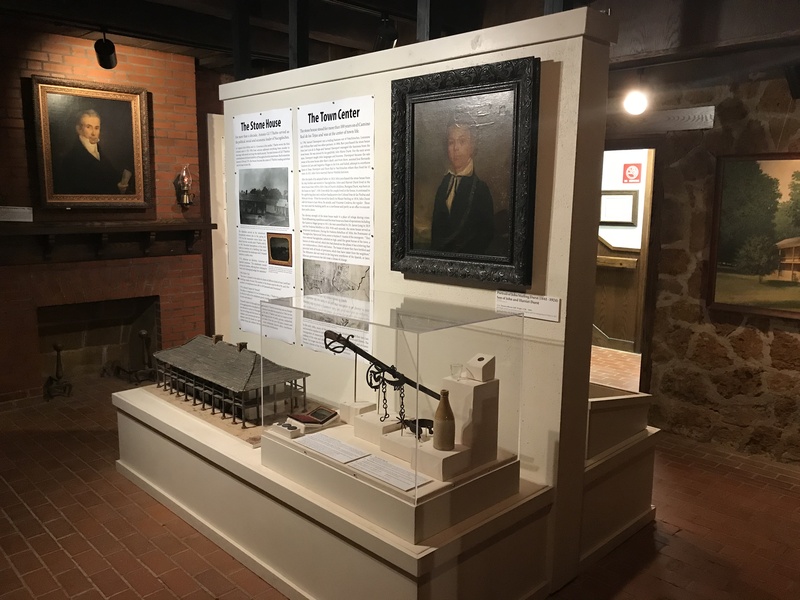 Original artifacts belonging to the owners of the house were displayed, and explanations of how the Stone Fort played into the history of the city were well written. It provided us with a solid introduction into the stories of the early days. SFA did a great job of organizing everything into an easy to understand format. There were two rooms on the first floor. Upon getting done looking at the first room, we could hear a whole group of kids outside about to enter, presumably on a field trip. We elected to check out the second floor and avoid the looming traffic jam. 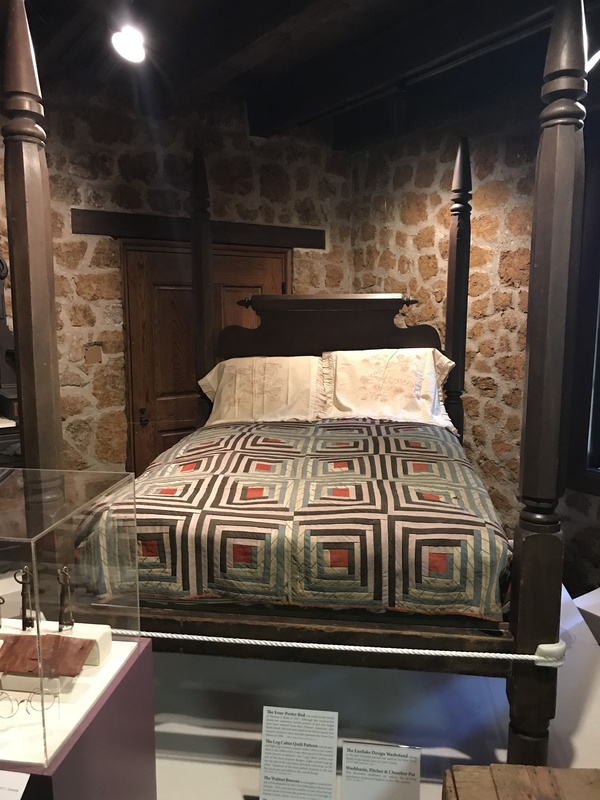 A bed used by Nacogdochian Thomas Rusk in the 1800s. Rusk held many roles, including Republic of Texas house representative and US Senator. 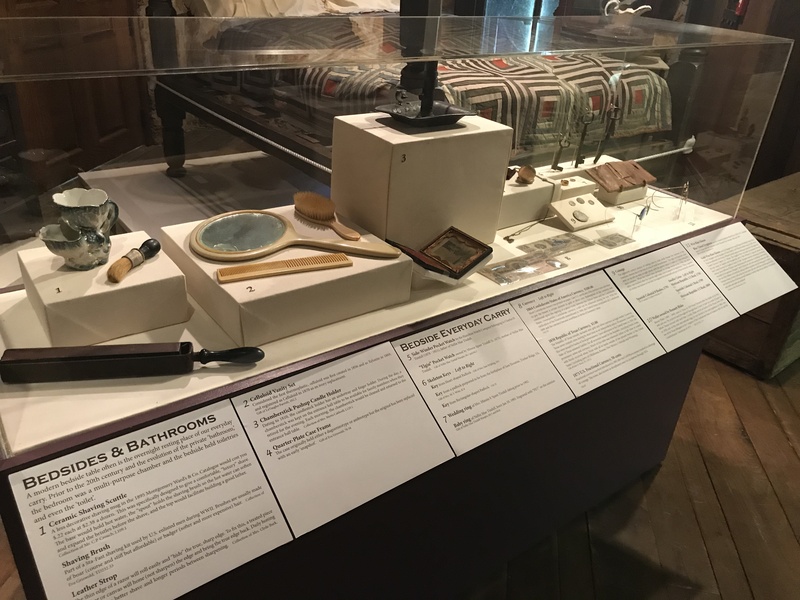 The second floor was mainly home to the temporary exhibits that the museum hosts. 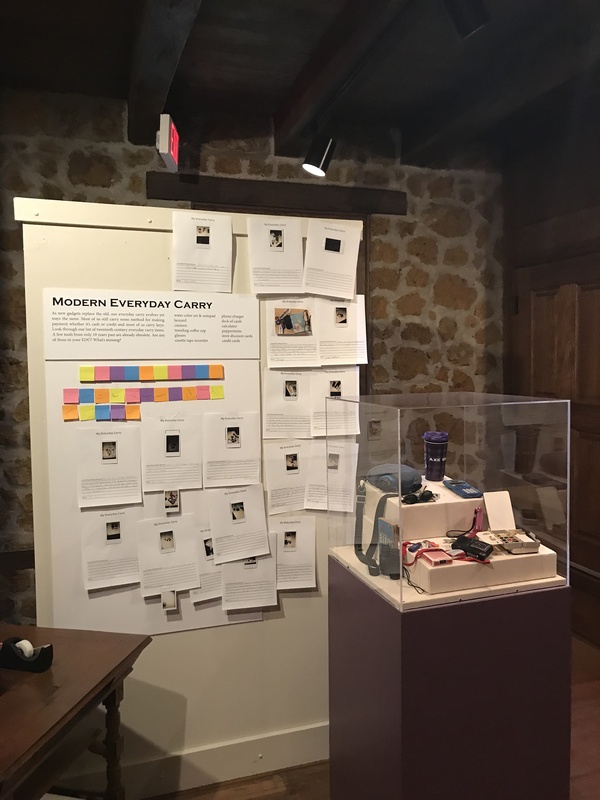 The one that was presently featured was about everyday carry, and the items that people toted with them on a daily basis. 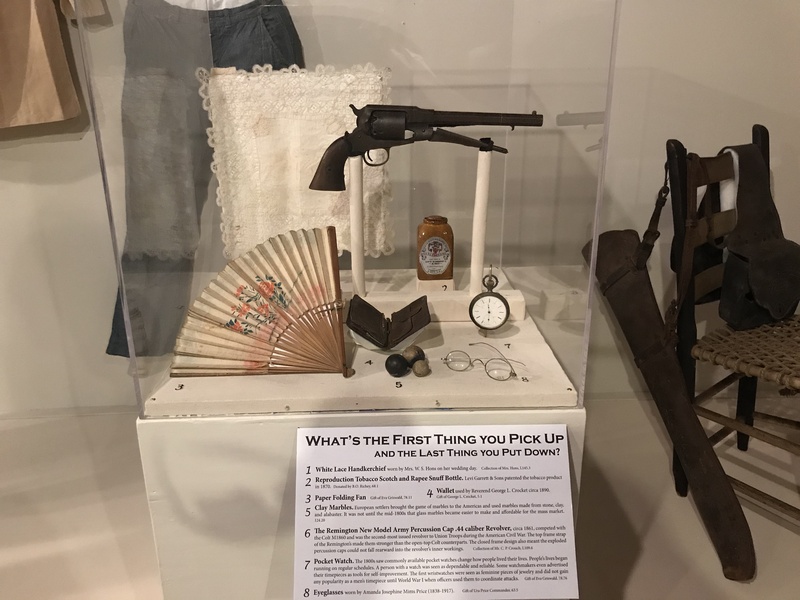 Starting with the early settlers, to a Civil War soldier’s loadout, the artifacts really highlighted how much different of an era we live in now compared to then. It was cool seeing what people used on an everyday basis back in the day! That .44 caliber revolver was the same model carried by Union troops during the Civil War. At the end of the everyday carry exhibit was an interactive area. There was a camera and photo printer, and visitors were encouraged to take a picture of what was in their pocket, print it out, and tape it on a board. Interactive exhibits are always a great way to engage the museum-goers, especially the younger folks! Upon finishing up upstairs, we went back down and checked out the remaining room. 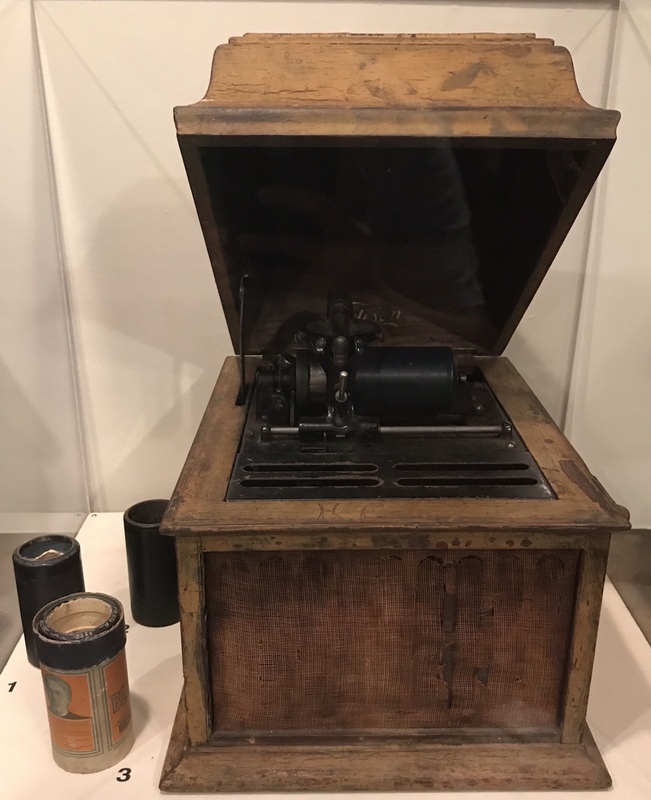 It contained artifacts that were mainly from the early 20th century, such as a Thomas Edison Amberola, which played music from a cylinder shaped “record”. First time I have seen something of this type! I’d love to mess with one of these just to hear how the sound quality is. After leaving the Stone Fort, we checked out some of the buildings that comprise SFA. 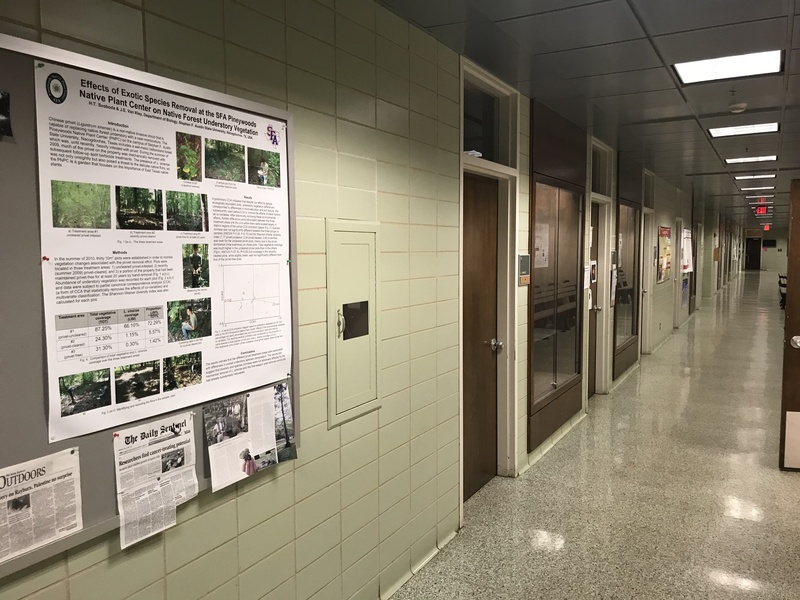 The first place we went to was the E.L. Miller science building. 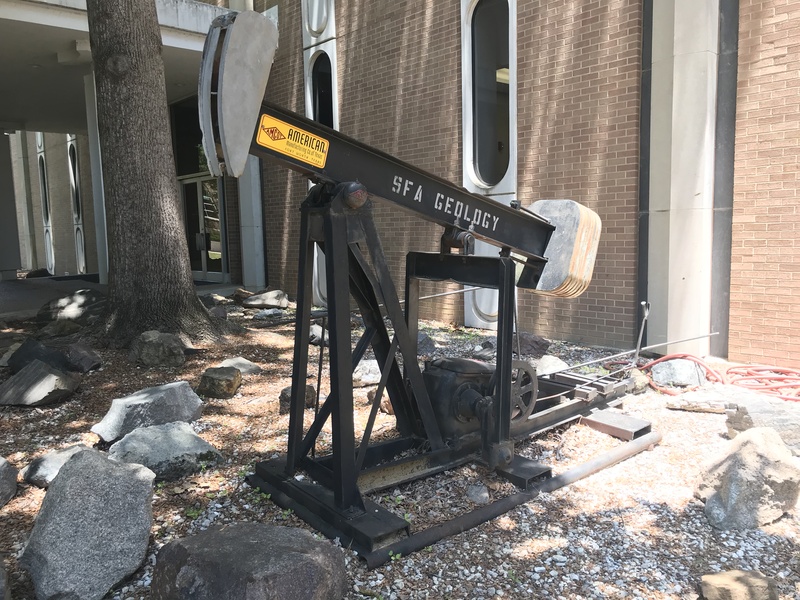 A miniature oil derrick pump located outside the science building. Upon entering, my first impression was that the building was quite old. However, it seemed well maintained and tidy. Student projects lined the walls. Although this building was on the older side, everything seemed up to snuff! One of the lecture hall doors was open, and I went on in to take a look. 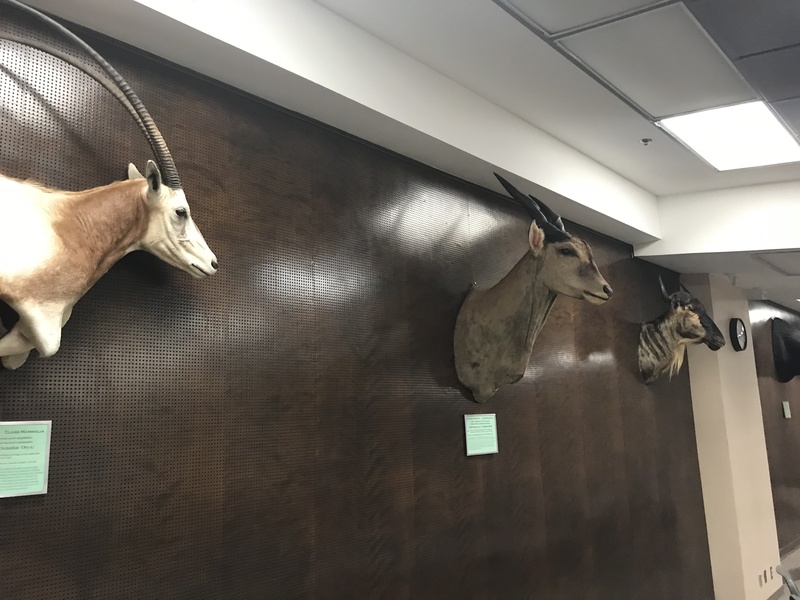 There were animal heads along the back wall, a unique decoration that I have not seen before in a usually boring and dull college classroom! Some pretty neat animal heads, along with a description beneath each one of them. 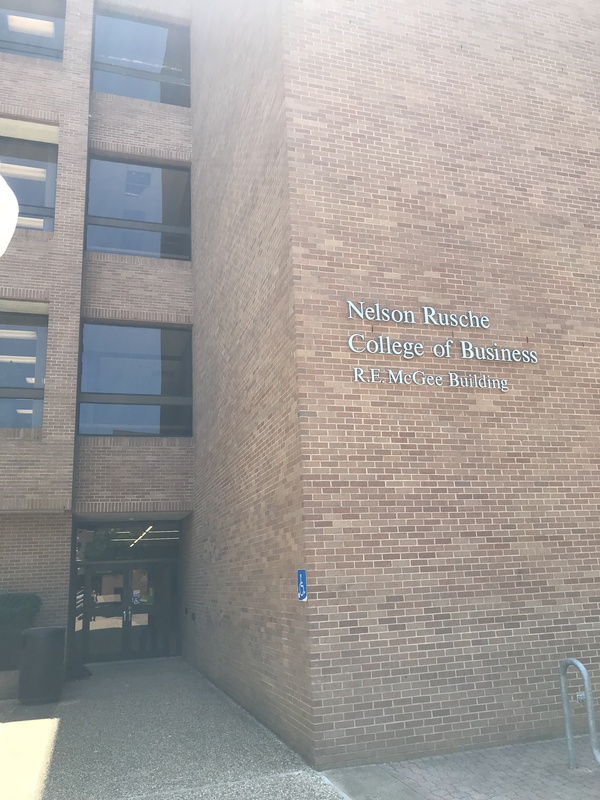 Next, it was off to their business school, the Nelson Rusche College of Business. A much newer structure, it seemed to serve as a good environment to learn the fundamentals of the business and enterprise world. The entrance to the business school. 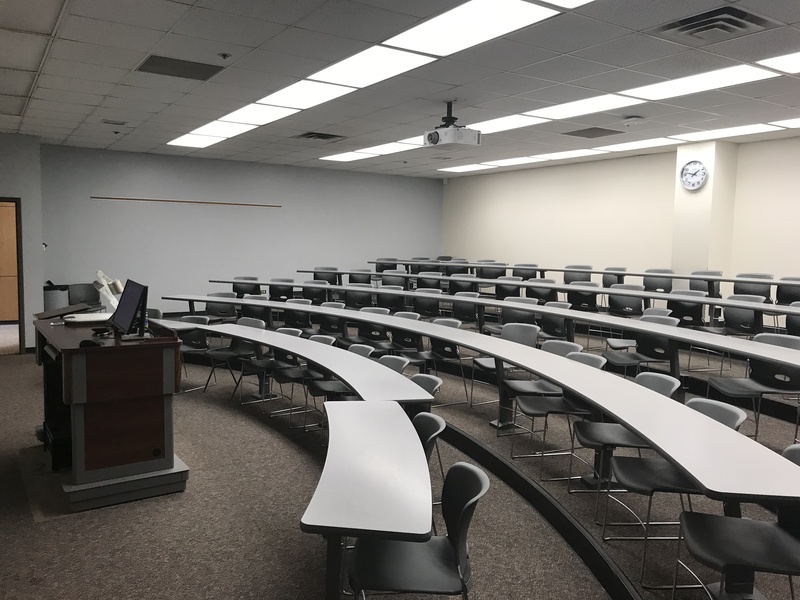 Their classrooms were adequately sized, although smaller than that of UT Dallas. All in all, they seemed to be pretty decent considering the high cost of tuition at any of these schools. In the middle of the two main classroom hallways on the first floor was a commons area, equipped with sofas and tables. As I recall, almost every table had an electrical outlet, making it a great place to catch up on homework or meet up for a group project. After leaving the business building, we swung by the library briefly as our last stop. Their library, much like the science building, seemed to be quite dated. Only a few students were seen there, mainly because the semester was over. Upon leaving SFA, we went to go check out downtown. Their downtown area was quite vibrant compared to many of the other downtowns I’ve been to in the past! A substantial number of businesses were open, and there were quite a few people seen walking around. What was a bit unusual though, was their courthouse. 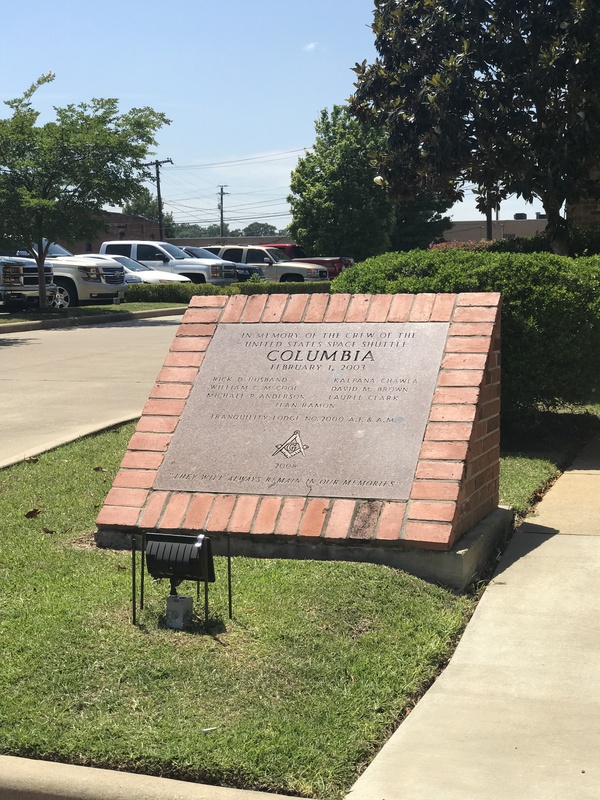 While most county seats have their courthouse in the center of the town square, Nacogdoches County opted to put theirs right off the main thoroughfare on the edge of downtown. Their courthouse was also the least attractive one I have seen to date. There were no real design features, just a Days Inn-like building of tan color. Driving around downtown, we checked out our last point of interest, which dealt with the Space Shuttle Columbia disaster. When Columbia exploded in February of 2003, with seven crew members onboard, the debris was scattered far and wide as it fell back down to Earth. Many chunks of wreckage fell in Nacogdoches, with one piece reportedly being as big as a car hood. The Masons erected a nice little memorial right next to their lodge that brings light to that sad day in history. Right behind the memorial is a drive-thru lane for a bank. A few chunks of debris reportedly fell there. I saw somewhere online that there was a silver plate marking the exact spot; however it was nowhere to be seen. After finishing up downtown, we headed home. This was a very relaxing and enjoyable trip, and it gave me the chance to finally see SFA for myself. As a college town, I would say it’s not bad at all; although, there is definitely less to do here than say, in Waco. 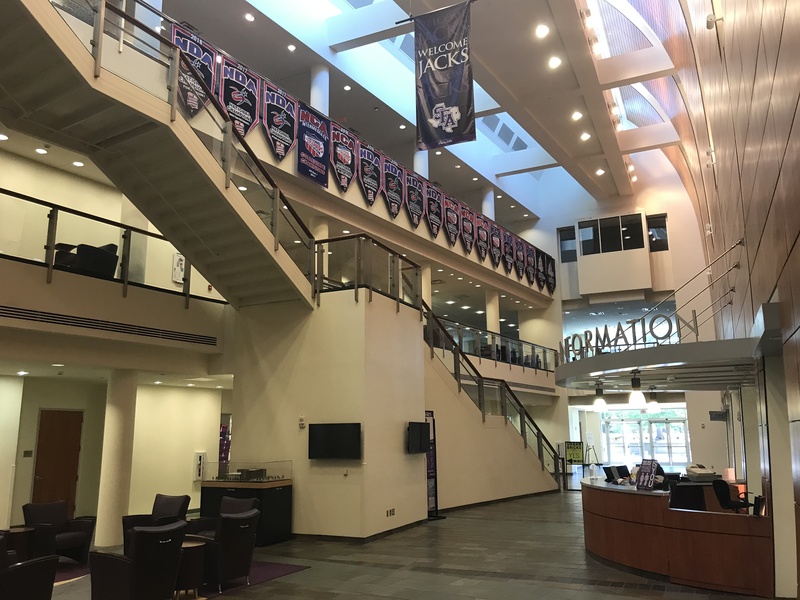 Of course, if you are like me, and simply enjoy seeing the different cities and towns that make up our state, then Nacogdoches presents itself as a place that has a rich history and friendly people. This is all while having more trees than you could care to see!